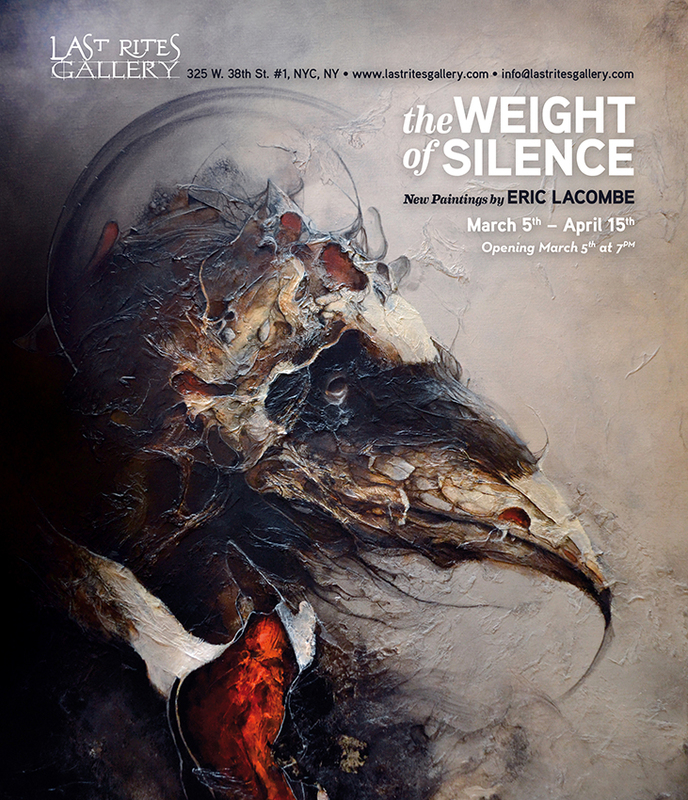 Last Rites Gallery is pleased to announce “The Weight of Silence,” a solo exhibition of works by Eric Lacombe. The exhibition title refers to the indefinable perceptions anticipating death. Lacombe will present a new series of 20 works that draw upon the subject of consciousness at the very end of life. Crossing over into death, the artist’s creativity leads to a new kind of awareness and perception; the artist turns these end of life thoughts into mourning figures while exploring the connections between consciousness, silence and death.